Emmsee Sportswear sells T-Balls online and in-store. Contact us now and ask about our Bulk Buy deals for T-Balls. The Brand stocked is Easton. T-Balls are 8.5 inch Balls, but can be 11 inch Balls for a Softball based competition. T-Balls are softer than Baseballs and Softballs to reduce the chance of injury to the young players. 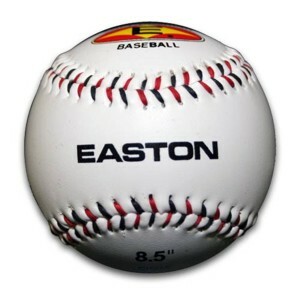 Some competitions do use the 8.5 inch Baseball. T-Balls are also an excellent training aid for older players, in particular Catchers learning to block the Ball using only Catchers Gear.